My writing ushers the reader along the buyer journey, turning prospects into customers. It solves problems prospects have and answers questions to keep existing customers happy. It tells an engaging story that resonates with readers. Above all, though, my writing helps you to accomplish your business objectives. I’ve written the history of the oldest music hall in Barcelona. I’ve written personalised direct marketing letters for the CEO of a FTSE 100 company. And I’ve written data-based thought leadership for a global market research agency. Ovum is the digital and technology arm of Informa, a FTSE 100 business intelligence company. The marketing team at Ovum wanted a writer to create a suite of shorter, snappier articles based on more detailed reports on technology trends. The idea was to generate interest and engagement among Ovum’s audience around the company’s presence at Mobile World Congress in Barcelona. I wrote the articles, together with web content and associated social posts. The campaign led to an increase in the number of site visits and leads, as well as a large number of downloads of the content which was gated behind a sign-up form. Donkey Republic is a Copenhagen-based global bike rental startup. They have bikes in cities around the world which can be unlocked via an app. I worked with Donkey Republic to define their typical user. Then I created a content strategy that would inspire travellers who wanted to see more hidden, undiscovered places. I wrote a series of bike-tour guides of Barcelona and London, which were shared widely on Donkey Republic’s social channels, leading to increased awareness of the bikes among visitors to these cities. 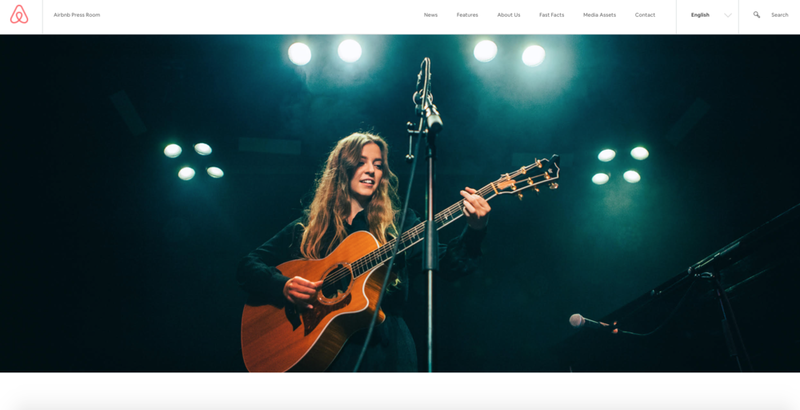 Little Concert is a trusted community marketplace for people and businesses to discover and book local musicians for any occasion and location. They teamed up with Airbnb to launch a series of concerts as part of the Mayor of London’s exciting Sounds Like London campaign. With a dozen talented female acts lined up, Little Concert needed a writer to create engaging short copy to promote these unique concerts from the artists’ perspective as hosts of the events. The strategy was incredibly successful, with high levels of audience engagement with the content I wrote and sold out shows across London. If you’d like to read other examples of my writing, head over to www.tomcroxx.com. It’s the home of a collection of visual city stories that I’ve written, including a love letter to the Regent’s Canal in London, a report on the Catalan referendum vote from my old neighbourhood in Barcelona, and my take on the last five minutes of the greatest football match I’ve ever seen. Let’s talk about how my writing could engage your audience.